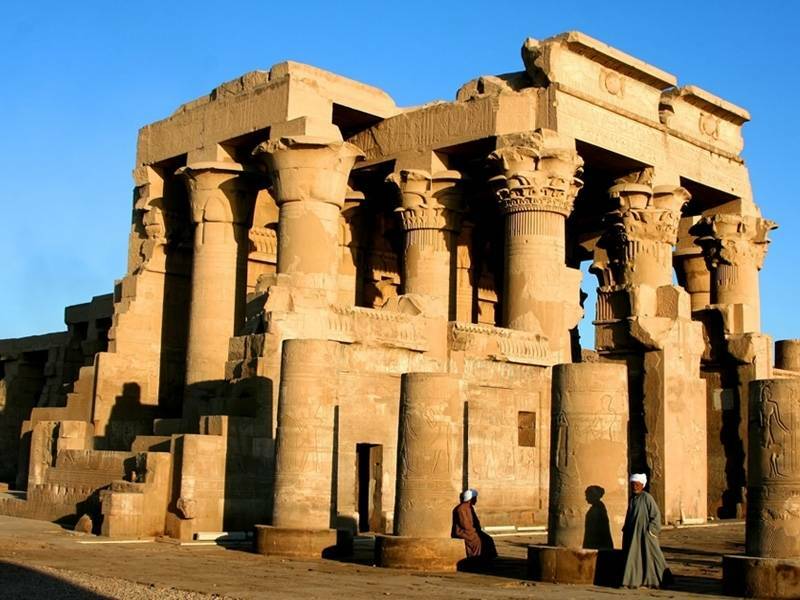 Discover the Nile-side temples of Kom Ombo and Edfu on a private day trip from Aswan. With an Egyptologist guide, journey north to Kom Ombo Temple, dedicated to the crocodile god Sobek and falcon-headed god Horus. Admire the stone columns, forecourt and sanctuaries, and unravel their history with your guide. After an included boxed lunch, continue to Edfu, a large cult temple to Horus. See the large pylon, court and other chambers as your guide unveils their secrets. Afterward, return to Aswan or choose an optional hotel drop-off in Luxor. Returns to original departure point or hotels in Luxor at 4pm. 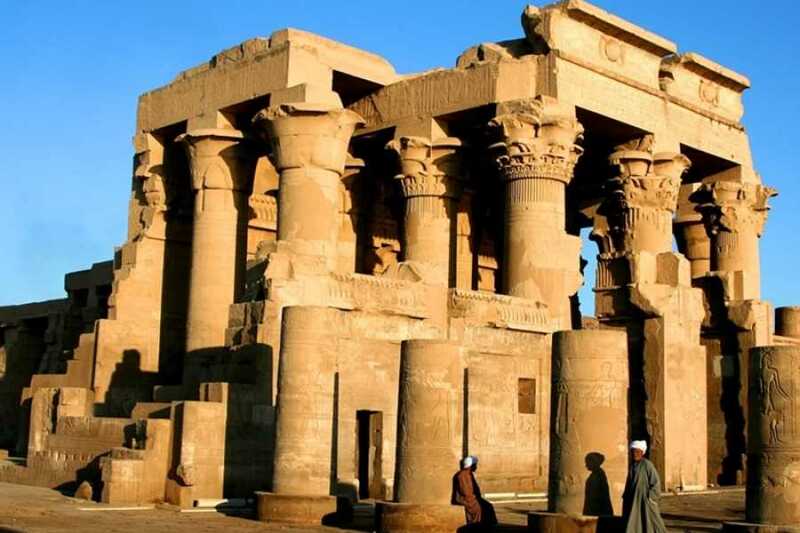 Your personal Egyptologist will collect you from your Aswan hotel at 8am for your private day tour of the riverside temples of Kom Ombo and Edfu. Your first stop will be Kom Ombo, under an hour's drive north of Aswan, which stands on high grounds overlooking the Nile. This is an unusual temple, built during the time of Cleopatra's dynasty, the Ptolemies, with a rare double entrance. Each of the two dramatic entrances are dedicated to a different god: one to the falcon-headed Horus, god of war and hunting, the other to the crocodile god Sobek, god of fertility and creator of the world. The site is home to a quirky Crocodile Museum, home to some of the 300-odd crocodile mummies discovered on site. After exploring Kom Ombo, you'll break for a boxed lunch (included), before continuing an hour or so north to Edfu for the majestic temple of Horus. Many experts consider this temple, which took almost 200 years to build, the best-preserved cult temple in Egypt. According to myth, it was here that Horus avenged the murder of his father, Osiris, by killing Seth. Your tour finishes at 4pm. You can choose between drop-off at your hotel in Aswan or a free transfer to a new hotel in Luxor.